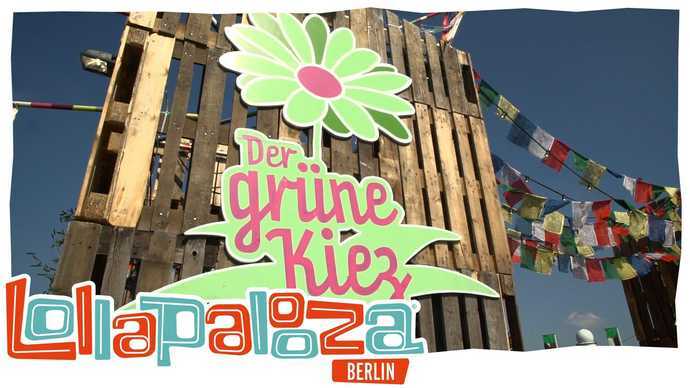 Lollapalooza Berlin’s Green Neighbourhood will be welcoming visitors once again from 10 to 11 September. While Radiohead, Kings Of Leon, Major Lazer, Paul Kalkbrenner and others rock the larger stages, other festivalgoers can head to the Green Neighbourhood for plenty of astonishing things to experience, discuss, and even learn. This year’s overarching theme is ‘climate change’, but it’s about more than just the hard facts. We’re gathering in the name of fun, joy and curiosity – even for everyday things – and to think about how climate change affects every one of us. The Grüner Kiez (Green Neighbourhood) features workshops, DIY activities, live art performances and much more, but the 30 local and international NGOs, non-profit organisations and initiatives are the real stars of the show. ‘Neighbourhood Heroes’ and Eco-Neighbourhood Market participants include Berliner AIDS-Hilfe e.V., the German Toilet Organization, Oxfam, SOS Children's Villages and Viva Con Agua, along with home-grown heroes A Soul For Europe, BikeSurfBerlin, Joanes Foundation and UTO – Berlin Upcycling. The fact that Treptower Park itself plays a role in the Green Neighbourhood goes without saying: the park’s flora and fauna will be complemented by a complete exhibition with loads of interesting things for visitors to learn. The entire, impressive programme is online now. Sunday tickets sold out, festival tickets and day tickets for Saturday still available! Tickets are available via lollapaloozade.com at €139 (festival ticket) and €79 (day tickets for Saturday). Day tickets for Sunday are sold out already.